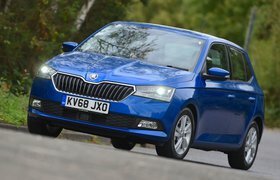 2016 Skoda Fabia 1.2 TSI Colour Edition review | What Car? The Skoda Fabia is no stranger to these pages. The Czech supermini won the supermini category of our 2016 Car of the Year awards and was the overall winner back in 2015. The Colour Edition doesn’t bring any great changes to the Fabia, but it does bring a more youthful appearance to the car. Based on the generously equipped SE specification, Colour Edition costs an additional £540. For the extra cash, you gain LED daytime running lights, cruise control and bigger wheels in a contrasting colour. The roof and mirrors are colour coded to match the wheels – either white or black. There are two engines to choose from, either the 1.0-litre three-cylinder with 74bhp or the 1.2-litre four cylinder. The latter choice gains a turbocharger to give a healthy 89bhp. We sample the 1.2 to see if it’s worth the premium over SE. What is the 2016 Skoda Fabia 1.2 TSI 90 Colour Edition like to drive? Skoda has made no mechanical changes to the Fabia in making the Colour Edition. The only difference is the addition of 16in alloy wheels that replace the smaller 15in items on SE spec cars. 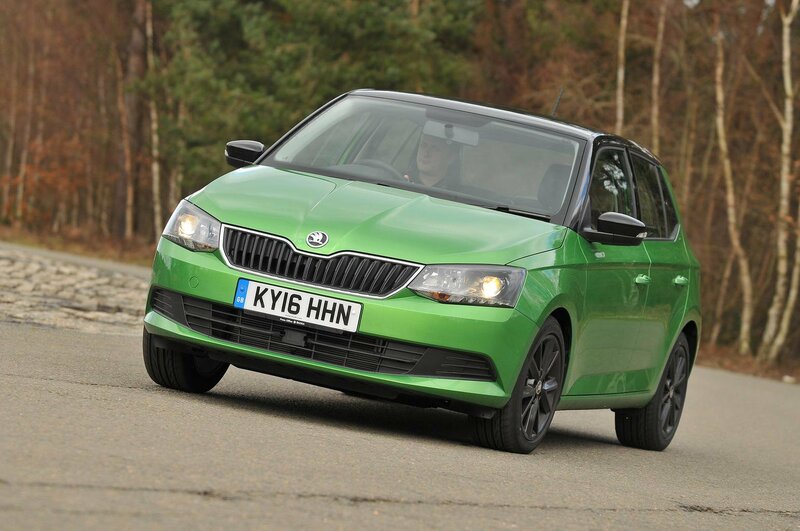 It should therefore come as no surprise that this new variant behaves just like any other 1.2-litre Fabia. For the most part, this is a good thing. The steering is nicely weighted, precise and gives the Fabia a tight turning circle that’s perfect for urban manoeuvring. At speed, the suspension keeps the body well controlled making it feel like a much bigger car on the motorway. At lower speeds it isn’t quite as impressive. The suspension makes a fair amount of noise when it’s smoothing out bumps and it doesn’t ride as well as the likes of the Ford Fiesta. Get to a bend and there’s plenty of grip and not too much body lean, although it never feels as agile as the little Ford. As we’ve said before, the 1.2-litre TSI with 89bhp is the choice of the petrol engines. It’s smooth, with plenty of low down power making urban work effortless and even motorway work not much of a chore. In all honesty, you won’t feel the need for more power in everyday use, which is handy since this is the most powerful version of the Colour Edition you can buy. What is the 2016 Skoda Fabia 1.2 TSI 90 Colour Edition like inside? From the inside, there is again very little to differentiate this from normal versions of the Fabia. That means you get one of the more spacious cabins in the supermini class thanks to the footprint of the car being bigger than many rivals. This size advantage includes width. While it’s unlikely three adults will be particularly happy about being crammed into the back of a Fabia, they’ll be complaining less than if they were in a Fiesta or a Polo. The Skoda also boasts a bigger boot than either of its rivals. Move to the front seats, and you’ll find it easy to get comfortable thanks to good adjustment on both the steering wheel and seat. Overall, it feels well screwed together, and while it makes do with a few hard plastics about the cabin, it still feels like a quality item, and surpasses the perceived quality you'd find in any rival, short of the more expensive VW Polo. If you’re looking for a sensible supermini, you’d be hard pushed to find a car so well rounded as the Skoda Fabia. It’s spacious, feels solid inside and it comes with plenty of equipment if you opt for SE spec or above. In some respects however, it’s hard to recommend the Colour Edition. 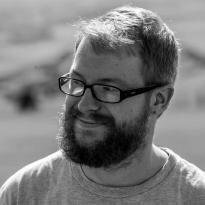 Although £540 isn’t a great deal of money, especially on a popular PCP deal, you don’t actually get a great deal more equipment for your money.